I believe, but in fact it's very decent card for Warlock. One of the best for warlock decks. This is good, but Defender Of Argus is better value. One of the best 2s in my opinion. 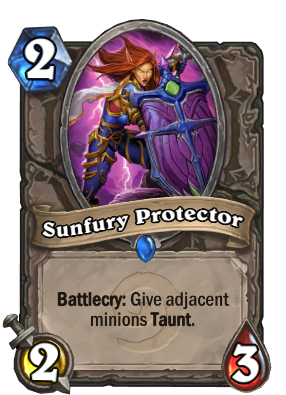 Has good value (2/3, so trades against other 2s), is 2 mana, and, providing that you have minions on the board, will give you 2 taunts.